1. A Czech scientist and Wendell Birmingham, an American soldier, examining a shrunken head in Buchenwald after liberation. 2. A group of fourteen American clergymen (left) attend the trial of former camp personnel and prisoners from Buchenwald during their tour of camp sites in 1947. 3. A guide shows jars containing human organs removed from prisoners in Buchenwald to Jack Levine, a techical sgt., 5th Armored Division. 4. Aksel Frydenabjerg, a member of the Criminal Intelligence Division in Denmark, testifies at the trial of former camp personnel and prisoners from Buchenwald. To his left is Captain Regner P. Mortensen, a Danish liaison officer and interpreter, and on the right is Herbet Rosenstock, another interpreter. 5. An exhibit of human remains and artifacts retrieved by the American Army from a pathology laboratory run by the SS in Buchenwald. 6. 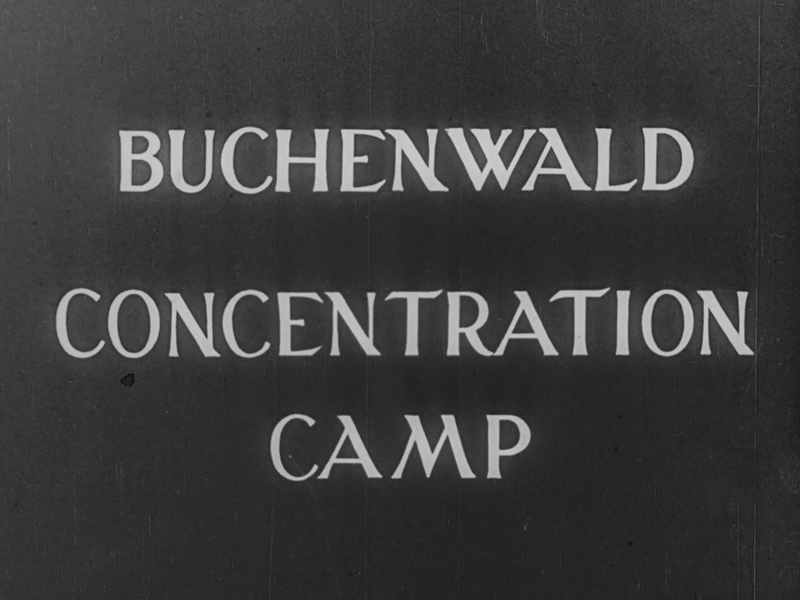 A Polish witness for the prosecution testifies at the trial of 31 former camp personnel and prisoners form the Buchenwald concentration camp. 9. Defendant Josef Kestel indicates on a map where he shot a prisoner trying to escape, during the trial of former camp personnel and prisoners from Buchenwald. 10. Defendants confer with their defending counselors at the trial of former camp personnel and prisoners from Buchenwald. 11. Dr. Edwin Ellenbogen on trial in front of an American military court for crimes he allegedly committed at Buchenwald. 12. Dr. Eugen Kogon, a former Austrian prisoner in Buchenwald, testifies for the prosecution at the trial of 31 former camp personnel and prisoners from Buchenwald. 13. Dr. Sitte (right), a witness for the prosecution, identifies human skin taken from dead prisoners at the trial of former camp personnel and prisoners from Buchenwald. 14. Dr. Viktor Abend, a Polish civilian witness for the prosecution at the trial of former camp personnel and prisoners from Buchenwald, points to a diagram of Ohrdruf, a sub-camp of Buchenwald. 15. Father Jean Brinioul, a witness for the prosecution, indicates on a map where he was forced to work, during the trial of former camp personnel and prisoners from Buchenwald. 16. Former American citizen and Buchenwald prisoner/doctor Edwin Ellenbogen is sentenced to life in prison by Brigadier General Emil C. Kiel (back to camera) at the trial of former camp personnel and prisoners from Buchenwald. 17. 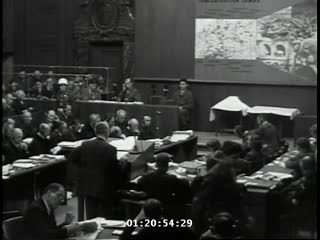 Former SS 2nd Lieutenant Dr. Hans Eisele cross-examines a witness in his own defense at the trial of former camp personnel and prisoners from Buchenwald. 18. Former SS-Obergruppenfuerher Josias Erbprinz zu Waldeck-Pyrmont is sentenced to life in prison by Brigadier General Emil C. Kiel at the trial of former camp personnel and prisoners from Buchenwald. 19. Former SS Sergeant Helmut Roscher is sentenced to death by hanging by Brigadier General Emil C. Kiel (back to camera) at the trial of former camp personnel and prisoners from Buchenwald. 20. Hermann Grossmann, a former SS lieutenant, testifies in his own defense at the trial of 31 former camp personnel and prisoners from Buchenwald. On the right is the interpreter, Rudolph Nathanson.